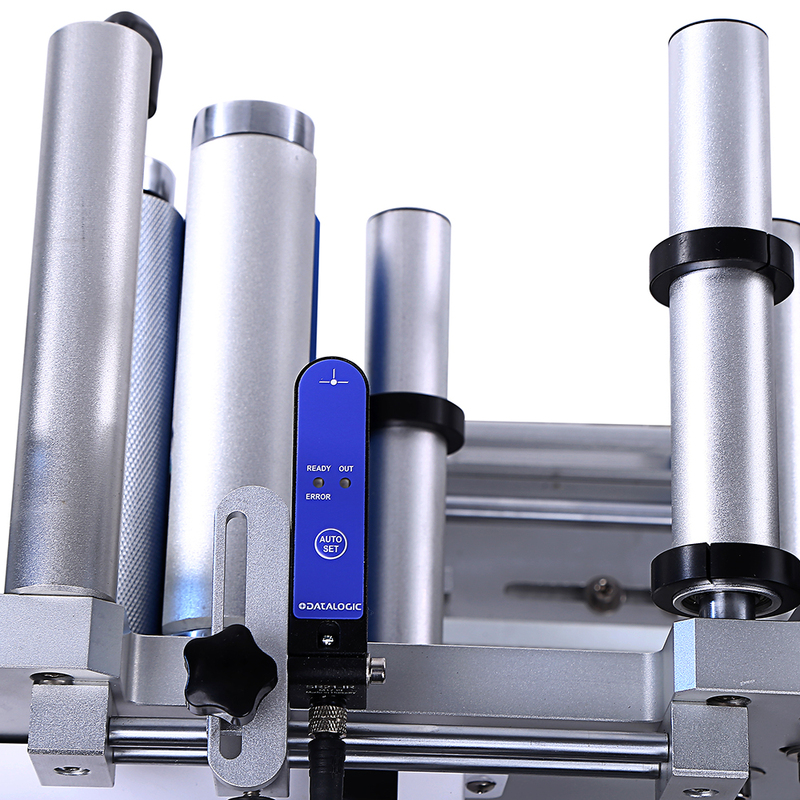 When using automatic labeling machine, a common problem is label comes out abnormally. So mastering sensor adjustment skill is necessary. Let’s see how easy it is! Make sure label reel goes through the sensor slot, ‘focus’ on label. ⑴ Press the ‘auto set’ button, the Ready/Error and Output lights would put out, it means the sensor is capturing the signal of the label on its focus. Do not move the label until the Ready/Error light flickers. ⑵ When Ready/Error light flickers, draw the label to make the ‘focus’ on the gap between 2 labels. ⑶ Press the ‘AUTO SET’ button again, Ready/Error light puts out. It means the sensor is capturing the gap signal. Do not move the label until the Ready/Error lights up. ⑷ Pull the label back and forth to see if the ‘out’ signal lights up when ‘focus’ on the border of gap and label. Thus adjustment done. ⑸“Ready/Error”signal lights up shows that the sensor is working.